A beloved bear, a beloved story, a beloved story behind a beloved bear. If you’re of my age-ish and you didn’t grow up on an even-tempered, sweet-hearted bear, I hope you’ll rush right out to the library and fix that! There’s also Piglet, Eeyore, Rabbit, Owl, and Christopher Robin himself, but all of them are pulled into the endearing love of Pooh himself. A.A. Milne’s tales from the Hundred Acre Wood are not picture books, but they are books of the best kind, the ones that project pictures into your heart, for safekeeping, for always. 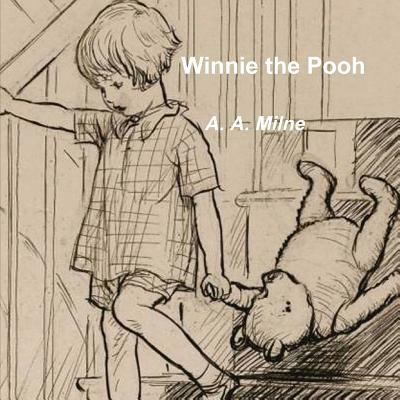 When readers first meet Winnie-the-Pooh, they see him as a toy of course, bump-bump-bumping down some stairs. But quickly, so quickly, he’s a real bear, a bear with heart and soul and a bear who considers the buzzing of bees and that they are best for making honey. It’s a collection of stories, warm and bright and full of childhood. And he’s a bear, friendly and full of soul himself. But where did Winnie-the-Pooh come from? How real was he? 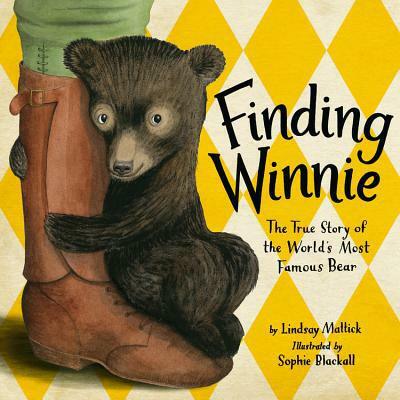 Lindsay Mattick and Sophie Blackall share the story behind the story in what’s quickly become one of my favorite picture books of the year. Finding Winnie: The True Story of the World’s Most Famous Bear is a fascinating look at the man who loved Winnie first. Mattick is telling a personal story here; her great-grandfather was a veterinarian from Winnipeg named Harry Colebourn. Colebourn traveled with other soldiers overseas to the frontlines of World War I, and on a train platform somewhere before the Atlantic Ocean, he paid twenty dollars to a trapper for a small brown bear. He saw something special, was that vision ever right. Winnie, short for Winnipeg, short for home, joined the army. Eventually, Colebourn knew he had to focus on his horses and on the war, and Winnie found a new home in the London Zoo. That’s where a boy named Christopher Robin saw her for the first time, where he fell in love. That’s where Christopher Robin’s dad watched the two, and that’s where Winnie-the-Pooh was born. From a sort-of-home and named for one, he came into all of ours. Finding Winnie is as much a treasure as the Hundred Acre Wood itself. 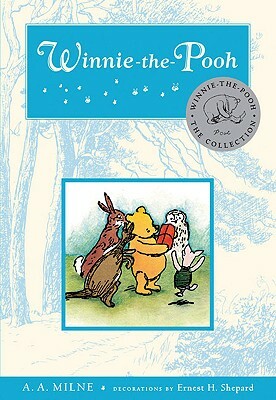 Purchase Winnie-the-Pooh and Finding Winnie: the True Story of the World’s Most Famous Bear for your reader or readers.